Ken Livingstone launched his Manifesto for London on Wednesday. It's full of possible improvements across every area of London life. Dave Hill of the Guardian is impressed. He says, "Ken Livingstone's programme for London is obliterating Boris Johnson's in so many ways it's almost embarrassing." You can make your own minds up by taking a peek here. I've cut and pasted Mr. Livingstone's housing commitments below - he even mentions Hammersmith and Fulham. Today Ken has also launched his campaign for a London Living Rent. You can click here to sign his petition in support of that. "Good quality housing is central to our quality of life and the rising cost of housing is one of Londoners’ top concerns. Average rents in the private sector rose by twelve percent in the past year, more than four times the rate of inflation. Social housing rents increased eight per cent. The huge deposits now needed to get on the housing ladder are beyond most first time buyers. The supply of new affordable housing has all but dried up. In the last six months for which figures are available, just fifty-six new affordable homes started construction in London. Three hundred and sixty thousand Londoners are on social housing waiting lists and the effect of welfare cuts is likely to make inner London the preserve of the better-off, forcing thousands of less well-off families into cheaper suburbs and beyond. Business leaders believe that the lack of affordable housing is a serious constraint on growth. Bad housing is a major cause of health inequalities; overcrowding damages family life and makes it harder for young people to succeed. This is Boris Johnson and the Tory-led government’s housing legacy to London. My focus will be two-fold. First, to drive down costs and drive up standards across all housing tenures including those who rent from private landlords, those who rent from social landlords and those who own, or are buying, their own homes. 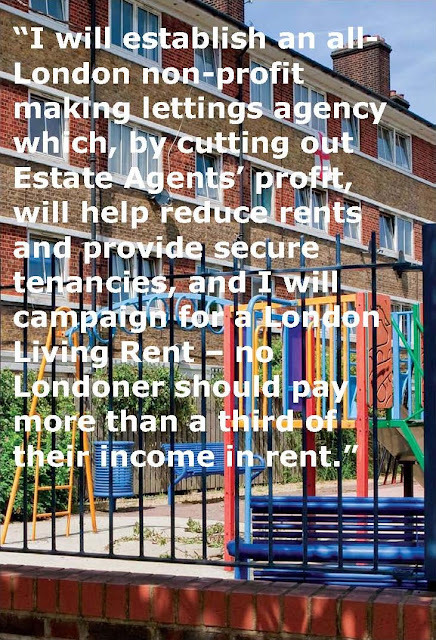 As a priority, I will help reduce the price and improve standards of private rented accommodation by establishing a not-for-profit lettings agency that saves tenants and landlords money by avoiding rip-off estate agents’ fees, and creating a Tenants’ Charter that sets minimum standards for rented accommodation. No-one should have to spend more than a third of their earnings on rent and we will develop the case for a London Living Rent. Second, to address the long-term housing crisis we simply have to build more new homes and they need to be affordable to ordinary Londoners to rent or buy. That means making maximum use of land controlled by the Mayor for housing development, and enforcing tough planning regulations so that private developments reflect the needs of all Londoners, not just the very wealthy. About a quarter of Londoners now have a private landlord. In more than half of London boroughs the rent for a two-bedroom privately rented home is more than half the average salary. More generally, the high cost of housing is a major problem for hundreds of thousands of Londoners. London needs a thriving and successful private rented sector and most landlords try to provide decent homes on fair terms. I want to support them. But there are too many rogue landlords and rip-off lettings agents. Unlike Boris Johnson I will not wash my hands of the needs of 850,000 London households on the ideological basis that it is wrong to ‘interfere in the market’. Londoners have a right to expect the Mayor to do something about the private rented housing crisis. Encourage fairer rents and better tenancy agreements through a London Lettings Agency. Building on good initiatives by some London boroughs, we will establish a London Lettings Agency. This will free good landlords from estate agents who can charge up to ten per cent of annual rental income for marketing properties, which in turn pushes up rents. Tenants will enjoy a one-stop-shop where they can go to find good quality accommodation at fair rents. The National Landlords’ Association has welcomed our proposal. Establish a Tenants’ Charter. I will establish a Tenants’ Charter, setting out what private tenants can expect from their landlords. This will include a series of standards including: protection for tenants’ deposits; a commitment to make reasonable repairs when required; good standards of energy efficiency. I will encourage councils, housing associations and private landlords to sign up. Only landlords that do so, and abide by its terms, will be eligible to be listed via the new London Lettings Agency. Set up a London-wide landlord registration scheme. I will push for a mandatory landlord registration scheme similar to the model operating in Scotland. Tenants should at least be entitled to know who their landlord is and landlords should have to demonstrate that they are ‘fit and proper’ persons offering decent standards of accommodation. Campaign for a ‘London Living Rent.’ No Londoner should have to pay more than one-third of their income on rent, so we will research and set a benchmark for assessing the reasonableness of rents being charged. The Mayor does not have powers to regulate rents, but I will campaign for legislation for a fairer system of controlling rent increases based on successful schemes in other countries. Lobby for better regulation of the private rented sector. I will lobby government and, if necessary use the Mayor’s powers to promote parliamentary legislation, to tackle rogue landlords, protect good landlords, provide increased security of tenure for tenants and raise standards across the private rented sector. Improve home insulation. I will lead efforts to secure London’s fair share of national energy efficiency funding to massively expand a programme of better insulation (see the environment section of this manifesto). We will also work with borough councils to use their existing powers to ensure private landlords achieve high standards of energy efficiency and London takes a lead in operating Energy Performance Certificates. Tory Hammersmith and Fulham is the policy template for the Tory Mayor. They have stopped building genuinely affordable homes and are selling council estates to private developers over the heads of tenants and leaseholders. The Tory Government has launched an all-out attack on social rented housing (owned by councils and housing associations). Homes are being sold off and not replaced. New so-called ‘affordable’ homes are only available at much higher rents. To make money, existing housing association homes are often being re-let at these much higher rents. New social tenants often do not have security of tenure. Social tenants with a spare bedroom will have to pay a punitive ‘bedroom tax’. And some boroughs want to sell-off whole estates. The Tory government is reducing housing benefit without doing anything to address the housing shortages that have pushed up rents. Large numbers of people on low incomes require housing benefit support. Disabled Londoners are four times as likely as non-disabled people to be in receipt of housing benefit and so are likely to be particularly savagely hit. Many thousands of Londoners will also be branded as living in ‘under-occupied’ properties and see housing benefit fall further. In the first instance this will only be applied to working age households, but many older people are worried it will eventually force them out of the home many have occupied for most of their adult lives. Campaign against government cuts which will see families, and particularly disabled people, forced to move out of inner London because housing benefit will no longer cover their rent. Use the Mayor’s planning powers to block developments which involve the loss of social rented or other affordable housing without replacement that meets local housing needs. Campaign against any attempts to force older people to move away from their homes against their wishes. Older people who need to move into sheltered accommodation should be able to stay in their own neighbourhoods if they wish. More than half of householders in London own their own home outright or are buying it with a mortgage. The proportion of owner occupiers has decreased due to high housing costs, but many people still aspire to own their own home. As Mayor, I introduced a statutory target that fifteen per cent of all new homes should be for ‘intermediate’ affordable housing for people on modest incomes. This resulted in thousands of people being able to get on the property ladder with a part-buy/part rent, or shared ownership home. Boris Johnson has abandoned this target. Seek to maximise the number of new homes built to take pressure off the housing market (see below). Improve access to home insulation to cut the cost of heating bills for owner occupiers (see environment section). Change the London Plan to ensure that a proportion of new affordable homes are available for people who wish to purchase equity shares as well as providing new affordable homes to rent. Support community land trusts and housing co-operatives, which can help to make low cost home ownership a reality. Investigate providing mortgage deposit guarantees for people who are able to service a mortgage, but not able to access the large deposit needed to get on the housing ladder. The Tories’ decision to stop new council house building still haunts the capital. For thirty years not enough homes have been built. One of the main reasons that house prices and rents are so ridiculously high is simply because there isn’t enough housing to meet demand. London needs to build around 35,000 new homes a year. In 2006/07, when I was Mayor, we reached 32,000 homes started, within touching distance of what was needed. Since then, construction has fallen through the floor. The Tory Mayor has relaxed planning rules that I brought in to stop boroughs and developers from mainly building luxury flats and to ensure that half of new homes are affordable to people on average incomes. Building more homes creates jobs in construction and the supply chain – people who pay taxes and come off benefits. London needs a Mayor who understands the housing pressures facing ordinary people and will get something done to increase housing supply. Maximise the use of Greater London Authority land to build new homes. As Mayor I created a large ‘land bank’ so that new homes could be built. Boris Johnson made great claims about building on this GLA land - he said he would ‘put his land where his mouth is’ - but he has completely failed to deliver. I will release GLA land on a long term equity share basis (so London taxpayers get their money back) to housing associations and other developers but on condition that they commit to a clear timetable for getting homes built and occupied. Support boroughs to build new council houses. Some London boroughs have started building council houses again, and more could do so, using council-owned land. I will work with boroughs to increase the number being built as an excellent way of meeting housing needs. Investigate new options for financing affordable homes. As development picks up I will expect private developers to contribute to the provision of affordable as well as market homes. I will work closely with them to remove the barriers to development that hinder them. I will work with pension funds to encourage them to invest in affordable homes - which produce excellent long-term returns benefiting pensioners better than an over-reliance on volatile stocks and shares. Fast assembly eco-housing: environmentally high-performing modular homes that can be assembled in just six weeks. Re-establish affordable home targets. No borough should be able to get away with failing to build affordable homes for its residents. I will again expect 50% of homes built in London to be affordable and will move as rapidly as possible towards ensuring that at least one third of new homes are for social rent. I will also set an ambitious target for family homes. Launch a London-wide empty homes strategy. Nothing annoys Londoners more than the sight of empty homes when there is so much housing need. Some borough councils have done excellent work but struggle to deal with large landlords who operate in several boroughs. I will support the boroughs with a London-wide strategy to take more dynamic action to bring empty homes back into use. 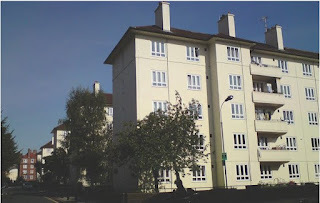 Support the London Accessible Housing Register and Lifetime Homes. 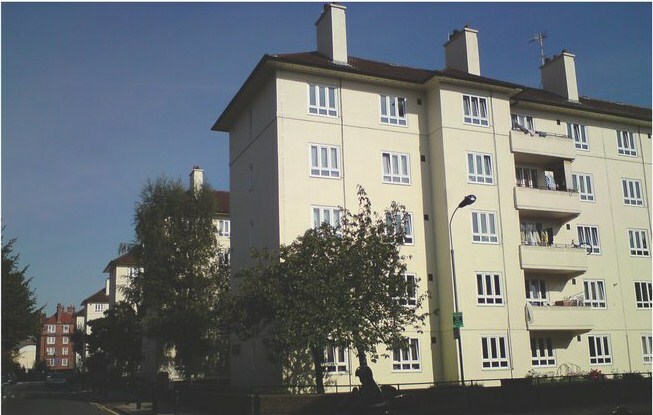 I will encourage all London boroughs to sign up to the London Accessible Housing Register, that addresses the housing needs of the estimated 30,000 Londoners with an unmet need for wheelchair accessible housing. I will require all new homes to be built to ‘Lifetime Homes’ standards and 10% of all new homes to be suitable for wheelchair users. Under a Tory Mayor the number of people sleeping rough in London has gone up by over twenty per cent. The Tory Government’s failed economic policy and assault on those on the lowest incomes through changes to the benefits system look set to drive many more vulnerable people on to the streets. Launch a new drive to end homelessness in all its forms using all the Mayor’s powers and responsibilities (across housing, skills and training, health, and policing) and coordinating with other agencies. Make the case that the bulk of central Government funding for tackling homelessness in London should be disbursed via the GLA to ensure that we get pan-London solutions to what is a pan-London problem. Use the Mayor’s new health powers to make sure that no-one with a mental illness has to sleep rough. Work with the NHS to tackle Hepatitis C among homeless people – a serious but treatable infectious disease which with the right focus we could now eradicate in London." Steve, we must forget the beauty/charm contest the right-wing media are focussing on, and push these policies, which as Dave Hill says are solid, sensible and unchallenged!